Dynamic UK duo Him_Self_Her are back on the essential Crosstown Rebels with another bumping deep house burner ‘Love You Like I Used To’ once again featuring the distinctive vocal chops of Kieran Fowkes who also appeared on previous Crosstown hit ‘Gone Too Long’ (which spent 11 weeks at the top of the Beatport chart). Featuring a tough and distorted remix from hot property Francesca Lombardo and the driving cosmic force of UK disco darlings Psychemagik on the flip, this is a house track for the peak season of al fresco hands-in-the-air dancefloors. Claire and Leon aka Him_Self_Her have been producing together since 2012 when they hit it off on a musical level during their formative time on the local house scene in Leicester. All that it took was one studio session to realise the potency of their union and their genre blending productions showcase a range of deep grooves and disco infused techno with a human heart. With their breakthrough release ‘Gone Too Long’ sparking the attention of none other than Pete Tong, he promptly made it his Essential New Tune and support followed from heavyweight DJs such as Jamie Jones. Next releases came on Elite Records and OFF Recordings. The classically trained, multi-talented Francesca Lombardo is one of the most successful artists of this era on Crosstown Rebels and with several shimmering releases for the label including ‘What To Do’ and the ‘Changes EP’, Francesca has amassed a sizable global following, entranced by her live instrumentation and vocal performances alongside the Rebels at events such as Get Lost and Day Zero, as well as the worlds dance music meccas DC10, fabric and Panorama Bar. 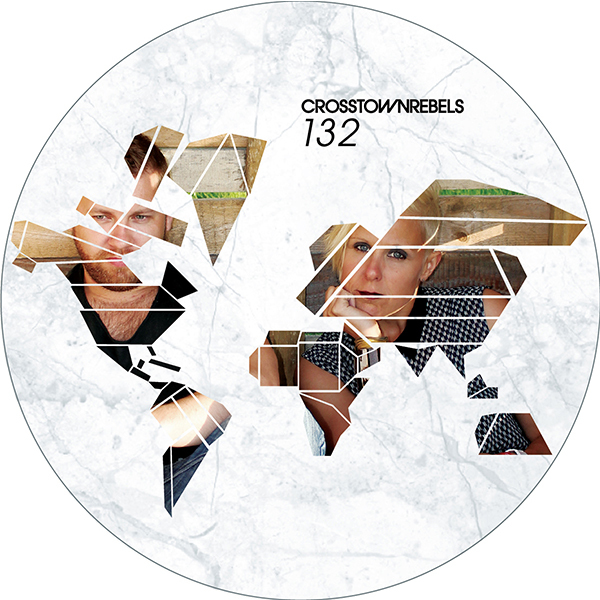 Undoubtedly two of the biggest stars of 2012, Danny McLewin and Tom Coveney aka Psychemagik are partly known for their prolific output of remixes but first appeared on Crosstown Rebels with a killer original release ‘Black Noir Schwarz’ back in March. Avid vinyl collectors and masters of the re-edit, the duo has released an impressive array of highly acclaimed releases as well as highly-lauded compilations, such as the self-released ‘Diabolical Synthetic Fantasia’ and last years superb ‘Magik Sunrise’.